Jubilee edition of RemaDays Kiev 2019 – festival of advertising industry in Ukraine. Over 100 exhibitors presented their offer in the IEC-EXPO Kiev exhibition centre. The latest solutions of producers, importers and distributors of advertising products and services could be admired by numerous professionals from the advertising and printing industry. The Ukraine’s capital city hosted specialists from the advertising products industry for the 10th time already. The exhibitors could showcase their products in the following sectors: Gifts&Textile, Sign&Visual, Tech&Print. The jubilee edition of RemaDaysKiev became a real festival of advertising. Representatives of companies whose products and services attracted the greatest interest, thanks to their innovativeness, also had their moments to shine. On the very first day, the winners of the “Korony Reklamy” (Crowns of Advertising) contest were announced. At the Exhibitors’ Evening, which took place in the “Kosmix” bowling club, statuettes were given to entrepreneurs leading their industry markets in five categories–Gifts, Sign&Visual, Importer, Technology and Printing. On 15th March, results of the competition for best advertising gifts of the year were announced. Awards were given in five categories. The winners of the “Gifts of the Year” category were selected by visitors who cast their votes for the most popular gifts in individual price ranges. A big thrill was experienced by the guests themselves during the exhibition event held in Kiev. A Samsung TV was awaiting a lucky winner in the traditional “Lottery for Visitors”. 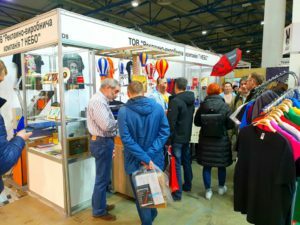 The Advertising and Printing Trade Fair in Kiev was not only an opportunity to familiarise oneself with the latest solutions and products but also to expand one’s knowledge. The knowledge which may be used to improve effectiveness of activities in this extremely demanding market. For two days, both the exhibitors and the visitors had the chance to listen to lectures organised as part of RemaCongress. A series of specialist lectures was organised jointly with the media partners of RemaDays Kiev, that is the Association of Producers and Importers of Advertising and Advertising Gadgets of Ukraine (AVIRSU), the Ukrainian Association of Visual Industry (UAVI) and a printing magazine PrintPlus. 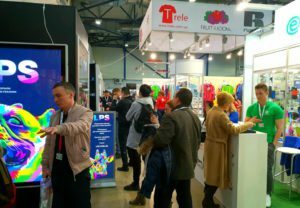 However, the biggest achievements of the finished 10th edition of the RemaDays Advertising and Printing Trade Fair in Kiev were, traditionally, the opportunities to learn the latest trends in the advertising and printing industries, and also to establish new business contacts.